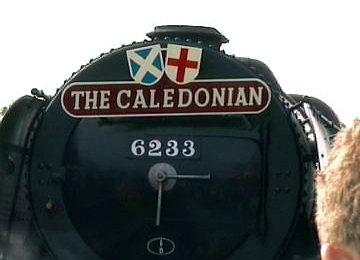 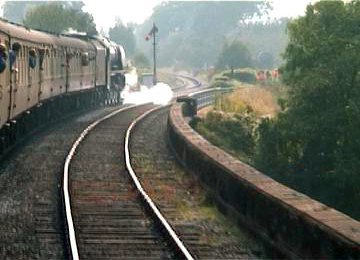 After last year's fantastic event how could we resist returning to the SVR for what promised to be another steam spectacular. 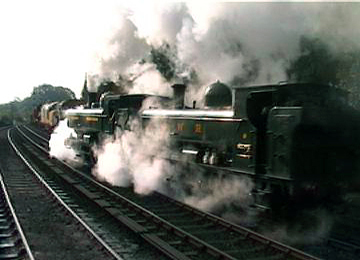 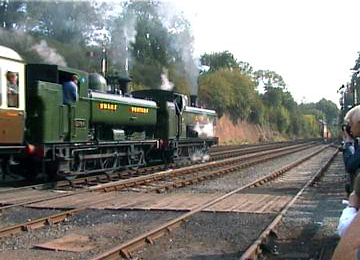 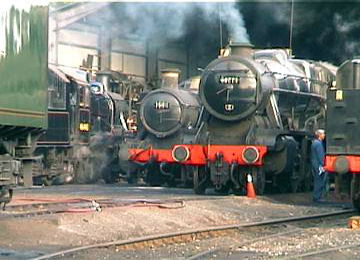 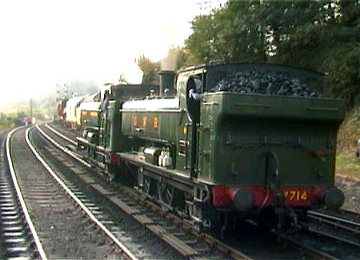 For me the star's of the weekend were 5764 & 7714 the two GWR pannier tanks, giving 110% performance thoughout the whole weekend, it was almost as if they were showing off infont of there bigger stable mates. 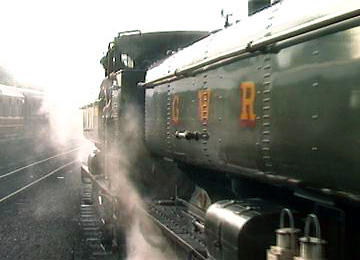 All Shots taken from my Canon MV500i digital camcorder. 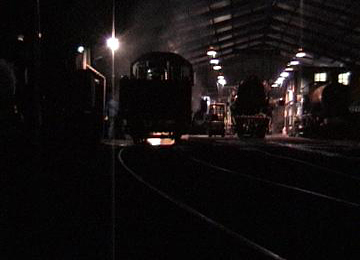 (not brilliant quality but they capture the atmosphere). 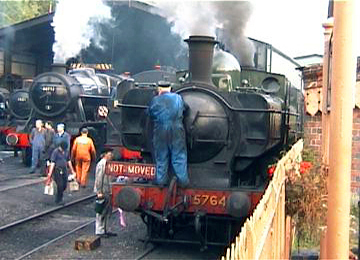 Bridgnorth - Friday 20th September Crew's prepare the for locomotives for the day ahead. 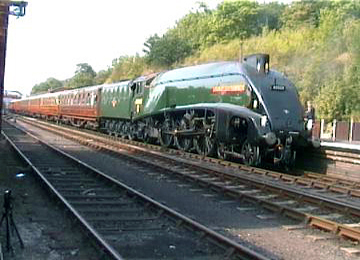 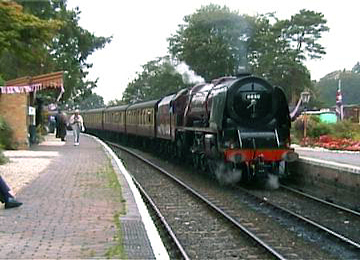 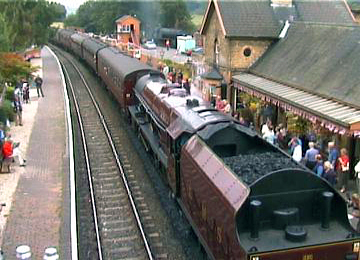 Hampton Loade - Friday 20th September.... 6001 'Princes Elizabeth' & 60009 'Union of South Africa'. 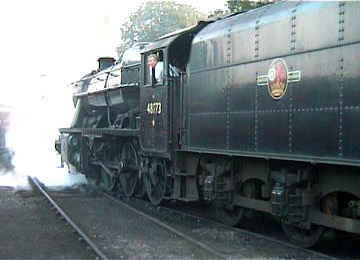 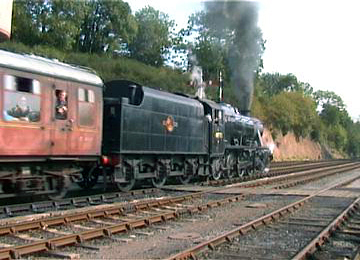 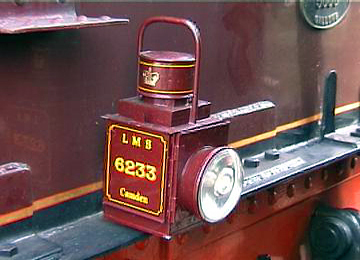 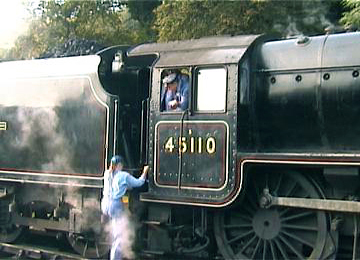 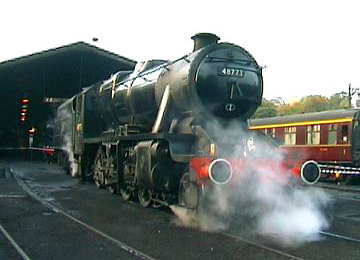 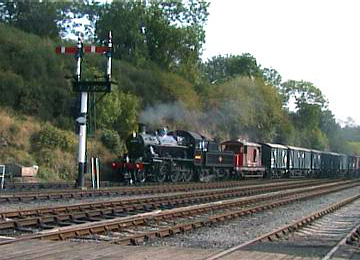 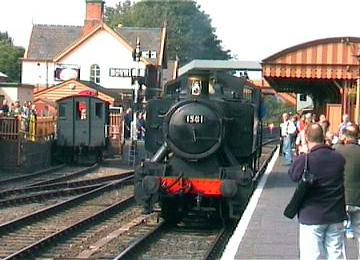 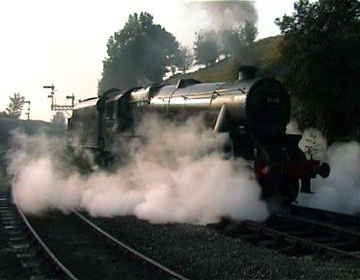 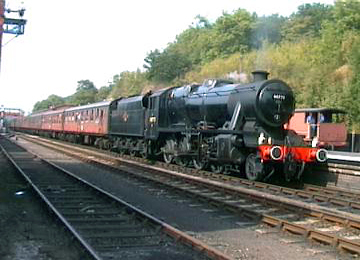 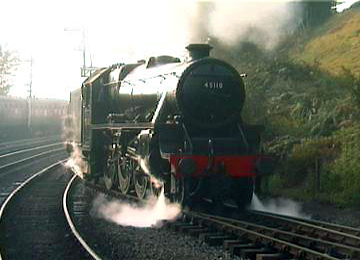 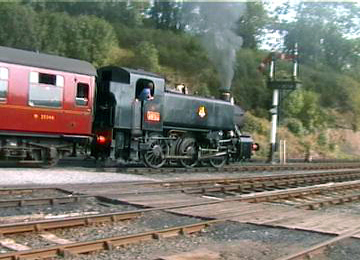 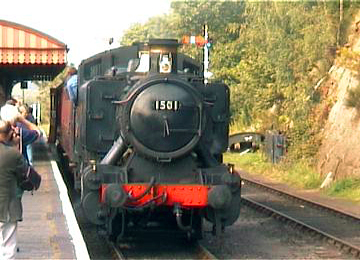 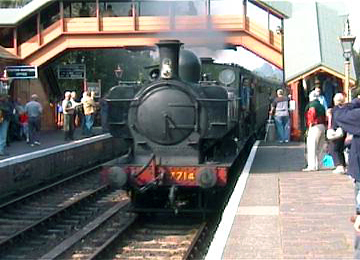 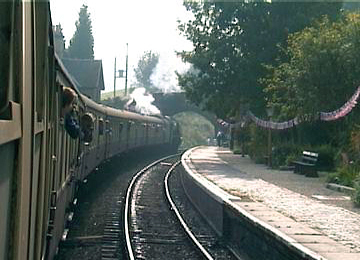 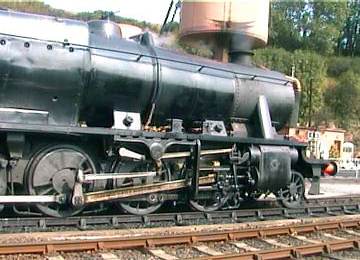 46443 passes through with a local goods. 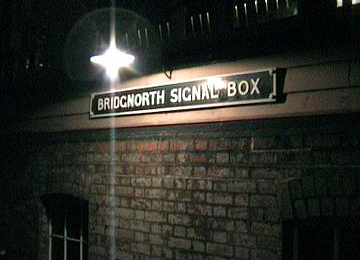 Bridgnorth Friday evening / night - 48773.